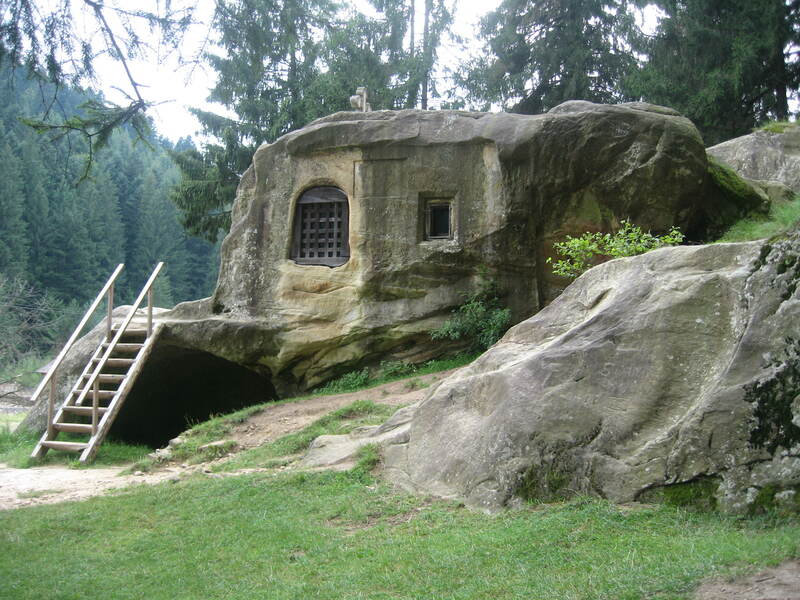 In the northern part of Romania, near the city of Suceava, there is a holy sanctuary, carved from stone more than 500 years ago. 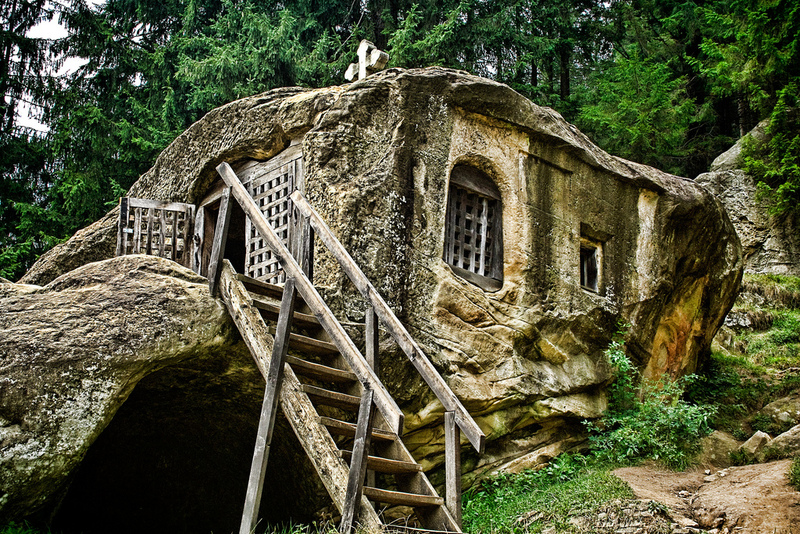 Situated only one mile away from another historic landmark (Putna Monastery), this place of solitude and prayer was built by a single man, a Romanian monk that used nothing but a chisel in his quest of being as close to God as possible. Daniil Sihastrul (Romanian for “Daniel the Hesychast”), was born at the beginning of the fifteenth century, in a peasant family, in a village near the town of Radauti. At the age of 16 he became a monk at the Saint Nicholas Monastery where he later was ordained a priest and became a famous confessor. After a while, he went to the St. Lawrence monastery near the village of Upper Vicovu. As time went by, word got out of him being a great spiritual father, and became assaulted by crowds of people seeking for spiritual guidance and help on various issues. Wanting to pray silently, he retired as a recluse (hermit) in a hidden and inaccessible area, towards the mountains, near the river of Vitau. 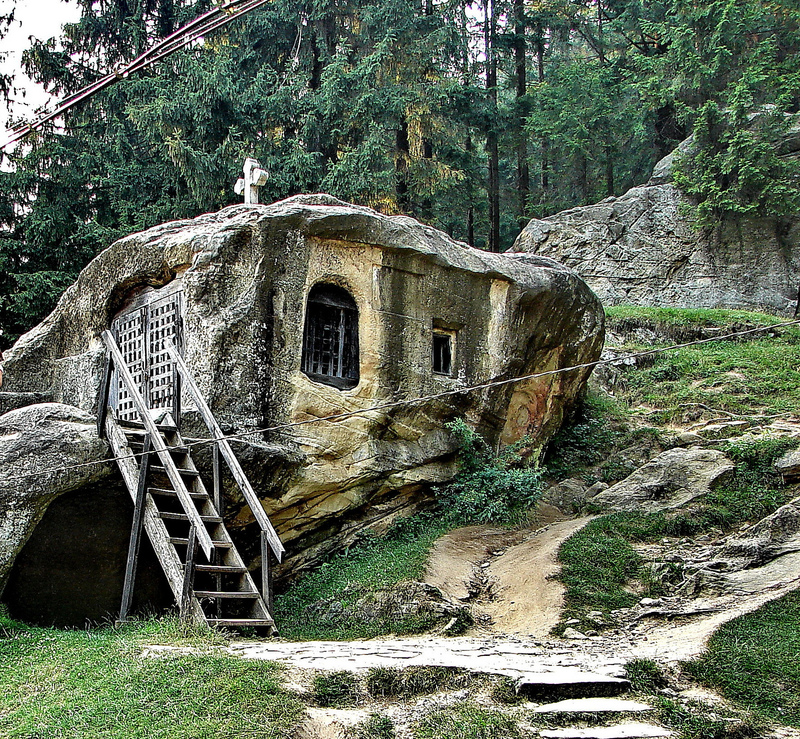 According to tradition, he dug a chapel in a high cliff, and below it, another place, which served him both as a resting place and as a hermit cell. The legend tells that Daniil lived in these places more than 20 years, in unremitting silence and prayer. Long venerated locally, the church canonized him in 1992; his feast day is on the 18th of December. Nowadays, the place has been included on the list of historical monuments in the county of Suceava. Thousands of tourists from all over the world come here, in pilgrimage, seeking enlightenment and answer to their problems.